PIF Manager is the core module of Dossier Manager. Interfacing and data - The data available in the company can be imported into the Dossier Manager tables. Label and Product Information File - Dossier Manager automatically composes the label of the finished product and generates its Product Information File in a simple and fast way. Check and updates - Dossier Manager takes into account technical-regulatory updates and internal changes by users for the entire life of the cosmetic product under examination. Management of toxicological data of raw materials. Automatic calculation of the System Exposure Dosage (SED) and of the MoS (Margin of Safety) according to the SCCS guidelines. Automatic composition of the label of the finished product, with automatic filter of allergens and possibility of automatic management of "may contain". 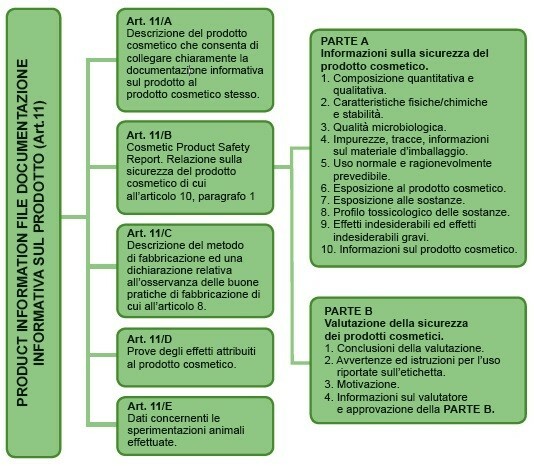 Generation and management of the Product Information File (including Product Information Documentation and Cosmetic Product Safety Report). Web-based distribution of technical-regulatory updates. Web distribution of COSING updates. Controlled management of document status (version and revision). 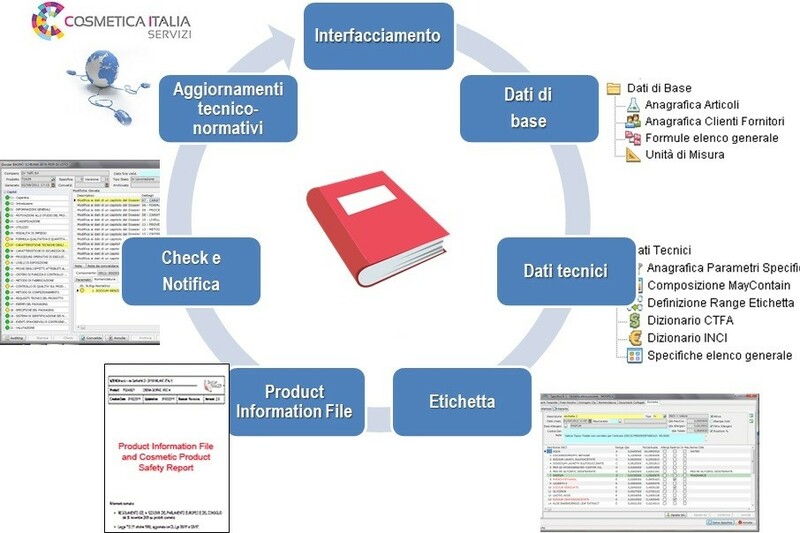 Integrated management of external documents in .pdf (technical data sheets, safety data sheets, toxicological data sheets, literature). Access management with levels of authorization and control (audit) structured by groups. Check Dossier / Change Control function and monitoring of every variation, for the document assisted validation. 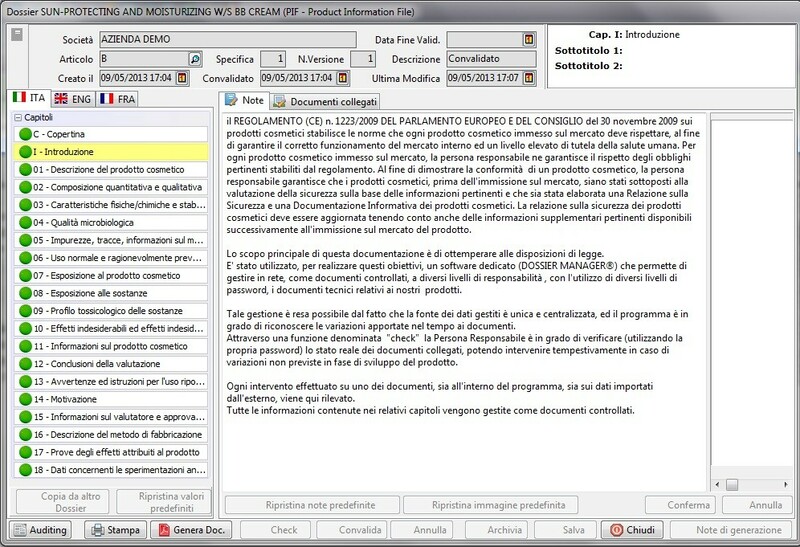 The structure of the document produced by Dossier Manager complies with the Colipa 2011 and SANCO 2013 guidelines. 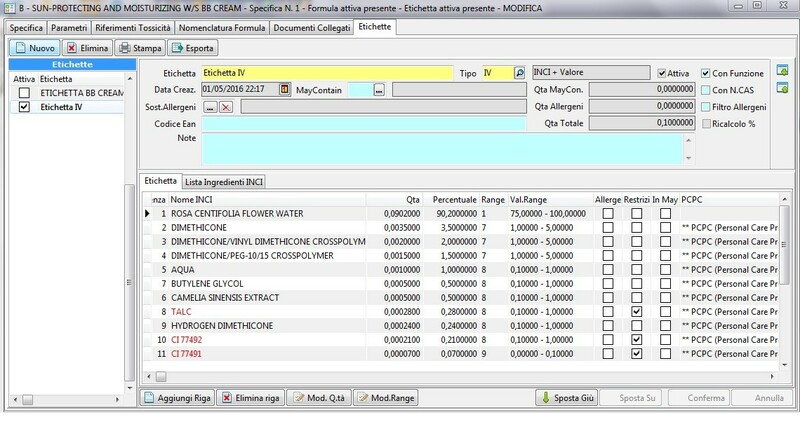 After collecting the information managed during phase 1 of the method and those defined in the "INCI label / composition" phase, Dossier Manager organizes them according to the structure prepared and performs the calculations required for the evaluation, such as the calculation of the MoS and of the SED. In this way the PIF is generated in a simple and fast way. Automatic allergen filter according to Regulation 1223/2009. Checks and updates: Dossier Manager takes into account technical-regulatory updates and internal changes by users for the entire life of the cosmetic product under examination. Interfacing and data: The data available in the company can be imported into the Dossier Manager tables. Label and Product Information File: Dossier Manager automatically composes the label of the finished product and generates its Product Information File in a simple and fast way. In each chapter a comment is then posted on the Responsible Person or the Security Assessor. Password profiling guarantees the ownership of information and traceability of operations. To assist the operator in this phase, the guide texts, prepared by the regulatory staff, are proposed by the software. Each chapter contains the documents attached to individual PIF components imported from the Basic Data and Technical Data area. The organization of attachments imported into the PIF is managed in a tabular way by Dossier Manager and can be customized by the user. Furthermore, other external reference documents can be attached to each chapter. The PIF is a Controlled Document. The responsible functions define the validation of all that is contained in the document. Furthermore, the PIF must be kept updated over time. 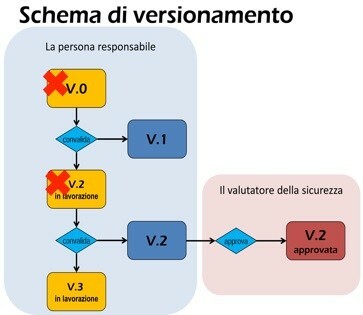 To support the Responsible Person and the Security Evaluator in the maintenance, the Check tool recognizes any changes that occur within the Document with a copy of the PIF having status: In Processing, where all the changes have been collected. The document is brought to status: Validated for subsequent approval by the safety assessor. The status: Archived allows you to keep an archive of obsolete documents. The identification of changes is simplified by the use of a semantic traffic light system. The analysis of changes is facilitated by a type of "before and after" visualization.